In today’s competitive workplace, many people fear to ask for a raise because they may lose their jobs, or because they are uncomfortable with the process. However, bosses usually expect people to ask this question, hence why they don’t just hand out raises! One of the leading causes of frustration in the workplace is a lack of deserved pay raises. But considering how much managers have on their plates, you can’t expect them to read your minds and be constantly aware of how much they are paying everyone. These tips will help you get comfortable asking for what you deserve in the workplace. 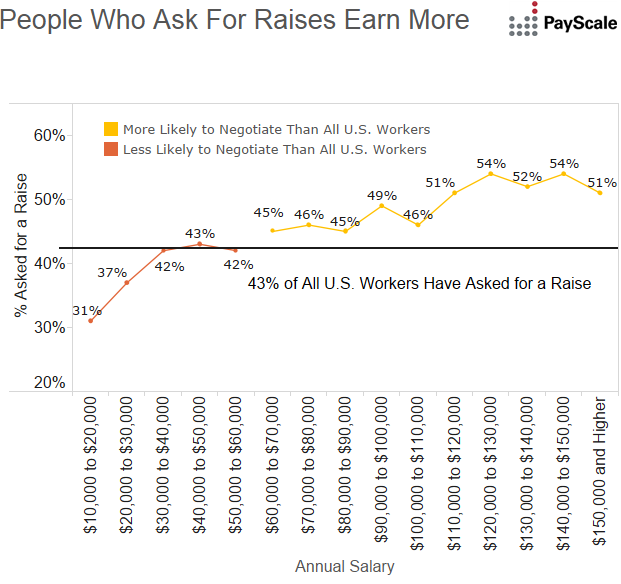 It has been proven that there is a correlation between people who ask for raises and people who earn more, so get to it! It can be easier to think about asking for a raise first in terms of strategies to avoid because often our first instincts are not very effective. First, don’t say that you know the timing isn’t great, but you would like to ask for a raise. First, if the timing actually isn’t right (people are getting laid off, things are changing in the company), you should probably just wait until a better time! And if the timing is actually fine, don’t disqualify yourself with wishy-washy statements before you even ask your question. Don’t keep bringing up the last time you had a raise. If it has been years, your boss probably knows that it has been a while. Bringing up the time that has passed doesn’t actually prove you are any more deserving of a raise, so don’t even bother bringing it into the conversation. Raises are given based on the quality of work, not time that has passed. Stay positive, not negative. Same goes for saying how you are working way harder than you’re getting paid for: it comes off as whiny. Similarly, don’t describe how you have adequately fulfilled all the job requirements. Getting a raise means that you are doing extra. Pointing out how you have done what was asked is not a great way to demonstrate that you are going above and beyond. Don’t bring up the personal reasons you need a raise. It makes sense that you would need a raise if you are having a baby or going through the illness of a family member. However, using this as leverage to ask for a raise is not the most effective way to get a raise, even if you do have good reasons. 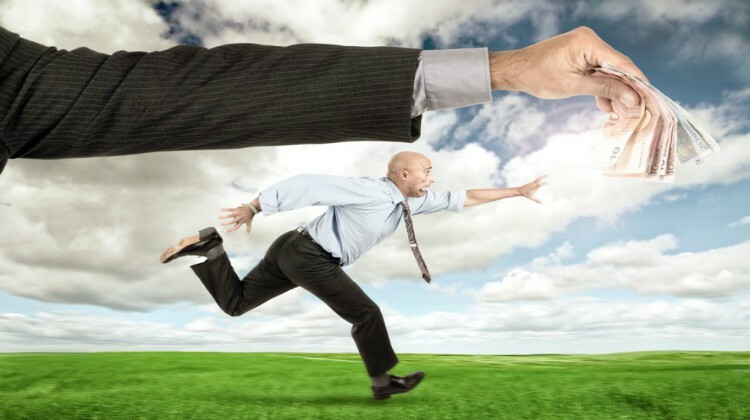 Your boss may perceive that you are trying to force him or her into the raise. You must provide solid, professional reasons for the raise, not try to guilt your boss into the raise. However, it does not hurt to bring up these reasons in a separate conversation to explain potential changes in your work ability. Absolutely do not threaten to quit if you don’t get a raise. If that is something on the forefront of your mind, you don’t need to announce it, and you can quit after the fact. If you are not actually thinking of quitting, is it both immoral and ineffective to use this strategy to try to push your boss. Don’t bluff, and if you must, only make this threat if you are absolutely serious. Finally, don’t compare yourself with other coworkers. Noting that another similar member of your team makes more than you does not mean that you are deserving of a raise, and could also be perceived as a guilt trip. There are likely reasons this person has a higher salary than you, but asking for a raise is about your own performance and justifying the reasons that you deserve a raise, not that the pay difference is unfair. So now, what should I do? Know when to expect a raise, reasonably. In the past, it was normal to expect an annual raise every year. However, since the economy has been in flux over the last few decades, this has stopped being the norm and started being more the exception. Now, it is necessary to think strategically about what time your raise request will be. Although it certainly depends on your industry, there are only three circumstances where you might expect a more frequent or earlier raise. These include working in retail or food service (although these are very small raises), working in very competitive industries like tech and finance (where there is a constant threat of employees being stolen by other companies) or if you are truly an extraordinary, above and beyond performer. Plan ahead, and make sure you have good timing! This is the most crucial, important aspect of asking for a raise! Timing can determine whether you get a raise, how much, and how your manager perceives your request. First, know the general trends of what time of year your company usually gives raises. Don’t ask during your annual review: this is usually too late. You need to start working a few months in advance in order to get in before the company sets its budget for the upcoming year. There are many other external timing factors in asking for a raise. You must consider the financial health of the company. If it is doing well, this might be a good opportunity. If the company is in a nosedive, wait until things settle down. This will reduce stress on your manager’s part and also reduce your risk of getting fired. Another great time to ask for a raise is if you have recently acquired an important new skill, degree, or other qualification. If you were hired at a certain rate based on your skill level, it makes sense that increasing your skill level in a proven, certified way will result in higher pay. Also, take into consideration your boss’s personal life. If they are in a good mood, you are more likely to get a raise. If they are going through a divorce or life change, they are unlikely to be sympathetic to your request. It sounds simple, but it is one of the most important rules of timing your request. If you have heard of other people getting raises, it might also be a good time. As long as you don’t bring up that you heard someone else got a raise, it is likely that it means your boss is in a stage of increasing overall pay for good performers. If you have other job offers, this is also a good time: again, only if you don’t use quitting as a threat. Knowing that you have a safety net is a good excuse to push the boundaries of your current job. Casually drop the information in a different conversation, then ask for a raise after that has had time to simmer. It implies a certain thing, but it isn’t an overt threat of leaving. Some bosses prefer a straightforward approach. In this case, simply email and make an appointment with the clear intention of discussing your pay. They will appreciate not having to beat around the bush and waste time. Others desire a more casual, nuanced approach. In this case, it is best to bring it up in the context of a different conversation about another work topic. Don’t bring it up in a group meeting. Instead, approach at the end of the meeting and ask to speak with him or her privately. You should put time and effort into planning what you will say. Don’t go on a long, rambling speech about how much work you do and all your responsibilities before you finally ask for a raise. Remember that a raise is a reflection of increased quality of work and more responsibility. Phrase your request in a way that clearly says why you feel you should deserve a pay raise, but understand if the manager has a different perspective. A good way to do this is to keep track of your accomplishments throughout the year to use as a quick list to use in the case of asking for a raise. That way, you will not have to wrack your brain, and you will already have a list prepared.